An A-class building can look amazing and contain the most modern bells and whistles, but without fast, dependable connectivity, it’s a C-class property. Fast, quality Internet connectivity is one of the keys to a happy tenant. If your building constantly disappoints with slow or unreliable Internet, then word is going to get around -- and that word, unlike your Internet, will be fast. 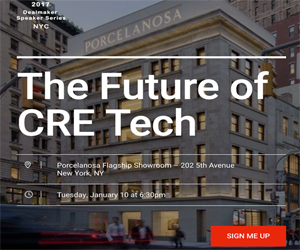 WiredScore offers Wired Certification, a commercial real estate rating system that empowers landlords to understand, improve and promote their buildings’ digital infrastructure. Think of the feeling you get when you see the logo for the Better Business Bureau, or the Good Housekeeping seal of approval. According to the WiredScore website, Internet is among the top three most important factors for tenants who are searching for office space (the other two: cost and location). Until recently, there has been very little information available to tenants about the quality of Internet connectivity in office spaces. Wired Certification provides that transparency (and access to information) to tenants. So far, WiredScore has certified more than 950 properties, totaling 350 million square feet of office space, in over 80 cities. Those locations include New York (including the Empire State Building), London, and Paris. Use the certification in your marketing -- you now have certified proof that your property’s connectivity is superior. WiredScore’s certification process provides downloadable fact sheets for every Wired Certified building in the world. Brokers and tenants can also make use of WiredScore’s search function to find Wired Certified buildings in their market; they can also access all of the information about a building’s connectivity. The company works with platforms such as CoStar, The Square Foot, and 42 Floors so that Wired Certification is clearly displayed on building profiles. WiredScore clients include Brookfield, Blackstone, and SL Green. Certifications fall into two categories: developments/redevelopments, and occupied buildings. Of course, certifying your building from scratch saves retrofit costs later, and also gives you more reason to boast about your new property. Getting the word out about your building’s technical prowess should move toward the top of your to-do list. WiredScore provides a dedicated Client Success Manager who will help your leasing and marketing teams make the most of your score. You can also integrate your Wired Certification seal and message across all marketing and PR channels relevant to your building. What happens if you strengthen your connectivity after you’ve received your first score? The WiredScore team reviews the updates and can adjust the certification (as long as you truly qualify) at no cost. WiredScore offers a Wired Certification Guidelines booklet for commercial developments and redevelopments, which is directed toward engineers, architects, developers, contractors, and construction project managers. The guidelines are developed in accordance with U.S. building codes and technical standards. Click here to find out more about WiredScore.